Count Ferdinand Graf von Zeppelin successfully demonstrated the world's first rigid airship, the LZ-1, at Lake Constance, near Friedrichshafen, Germany. The United States Army Air Corps (USAAC) was established by an act of Congress, renamed from the earlier United States Army Air Service. The USAAC is now the United States Air Force (USAF). C. Jackson discovered asteroid #1357 Khama. Aviatrix Amelia Earhart and navigator Fred Noonan disappeared in her Lockheed Vega over the Pacific Ocean while attempting to make the first round-the-world flight at the equator. C. Jackson discovered asteroids #1429 Pemba and #1456 Saldanha. Born, Georgi Ivanov [Kakalov] (at Lovech, Bulgaria), Major General Bulgarian AFR, Soviet cosmonaut (Salyut 6 EP-5-1; just over 1d 23h in spaceflight) "his original name was changed by Russian order because Kakalov means something obscene in Russian"
The Tiros 10 weather satellite was launched from Cape Canaveral, Florida. USSR launched Cosmos 70 from Kapustin Yar for investigation of the upper atmosphere and outer space. USSR launched Cosmos 1026 from Baikonur for investigation of primary cosmic radiation and meteoritic particles in near-Earth outer space. Engine 2002 exploded violently in a major Shuttle SSME failure during a test run due to a hydrogen leak (main fuel valve rupture). The Main Propulsion Test Article (MPTA) sustained major structural damage due to overpressure of the heat shield support. L. E. Gonzalez discovered asteroid #3495 Colchagua. Lawnchair Larry, one of the few Darwin Award contenders who lived to tell the tale, used 45 helium filled balloons to make his lawnchair fly to a height of about 16,000 feet. USSR Soyuz T-6 returned to Earth from Salyut 7. ESA launched Giotto to study Comet P/Halley. ESA's Giotto flew by the Earth at a distance of 16,300 km on its way to study Comet P/Halley, the first encounter of Earth by a craft returning from deep space. NASA launched the TOMS-EP (Total Ozone Mapping Spectrometer-Earth Probe) from Vandenburg, California, for atmospheric ozone mapping. 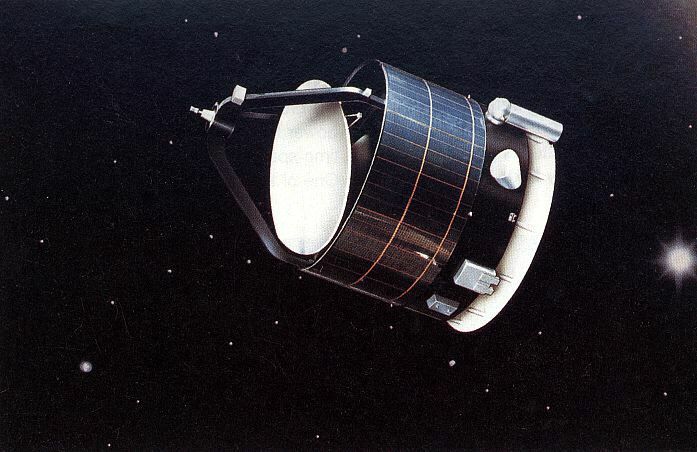 The ISEE Reboot Project successfully fired the thrusters on NASA's ISEE3/ICE probe for the first time since 1987, and spun up the spacecraft to its nominal roll rate.